I’ve long been confident that I’ve had my eyes open wider to the mistreatment of black Americans than at least 90%, and likely 99%, of white Amerinca. And I still am. In fact, probably more confident. But I’m also coming to grips with my own ignorance of how horrific, how systematic, how diabolical, how treacherous, and how brutally persistent the persecution of black Americans has been from the end of the Civil War through the present day. 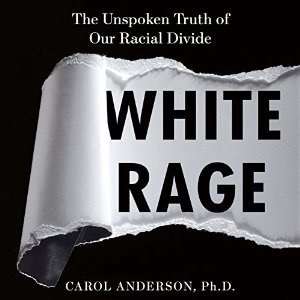 My latest slap in the face on this front was White Rage, by Carol Anderson, a stunning account of America’s last 150 years. The title is pitch perfect. White rage, rage at the idea that black Americans are equal to and every bit as worthy as white Americans, has been pervasive. It was present in the ashes of the Amercan South 150 years ago and it was present in Charlottesville last weekend. It was present in Selma in 1965, but also present in Northern cities, including liberal Boston, when the prospect of fully integrated schools (and truly equal opportunity) loomed large. White rage never has left us. Anderson makes that point indelibly clear. Still, why an apology? After all, I’ve played no role in the subjugation; it’s abhorrent to me. Have I benefitted from white privilege? Of course, but that warrants an acknowledgment and my full support of mechanisms, such as affirmative action and reparations, designed to neutralize white privilege. I pass the moral test there as well. Nonetheless, I’ve fallen short as a human being. I haven’t dug deep enough. I’ve been satisfied with being on the right side of history, without fully understanding the gravity of the situation. So, to any descendants of American slaves reading this, especially those who know me, I apologize for paying woefully insufficient attention to the harsh reality of black life in America. Most decent white Americans, I suspect, believe that we have a long way to go in achieving racial justice and true equality in America, but that we’ve also made tremendous progress. The more I learn, the more I reject that view. I think it betrays a superficial, and self-serving, understanding of what’s taken place over the past century and a half. Victories like the Brown vs. Board decision, the Civil Rights Act, and the Voting Rights Act, have been aberrations. And, as Anderson explains, they’ve been in significant part pyrrhic. What I’ve come to grips with over the past few years, beginning about the time Michael Brown was gunned down in Ferguson, is that the norm in America, to this day, has been the subjugation of black Americans. The only thing that really changes is the sophistication of the methods. Slavery was replaced by Jim Crow, which was replaced by mass incarceration. Outright obstacles to voting (literacy tests, poll taxes) have been replaced by voter identification statutes. But the intent and the effect is always the same: to treat black Americans as something less, not entitled to full rights of American citizenship. The result? Every time black America makes gains, the wheels of injustice immediately begin to grind to reverse those gains. Economically, the median black family is no better off today than it was a half-century ago. And the gap between whites and blacks is widening. I know I’ll never get those readers who generally reject my views to stop and open their minds. For them, reading Anderson’s White Rage is out of the question. So, my message here is to those of like mind. Our understanding and our knowledge base has been insufficient. At least mine has, and I doubt I’m alone. Read more. And by all means read White Rage. It will be a big step in the right direction. Bob, I usually don’t respond when you write on this subject, primarily because I don’t understand your need to be so immersed in shame and apology on the subject of how blacks in the United States are treated. I’m not saying you’re wrong, I am just saying I don’t understand it. Because you have written extensively on it and have made recommendations about books to read, I have been working at trying to understand what you try to describe. I fear I have not been very successful. Perhaps I am just too old to see the situation differently. Perhaps I don’t feel the need to take it so personally. Perhaps I am just plain stupid. I don’t know. What I do know is the books I have read – some of them were the books you recommended, and some were books recommended by the authors of the books you recommended – seemed to be compendiums of anecdotes and lectures describing why blacks should hate whites without ever acknowledging anything that whites have done to try and alleviate the discrimination and disadvantage they have suffered. You talk about that and take the position that people like me are wrong to think that white efforts amount to anything in this arena, so perhaps it is not an oversight that these authors all seem to ignore the things that have been done to help them. I have requested “White Rage” through an interlibrary loan and will read it when I get it. I am not certain what to expect if it tells a story that even you found to be an eye opening event. And before you point it out, I will acknowledge that there is something odd about having to get the book through an interlibrary loan because my local library doesn’t have it in stock and had no plans on ordering it, and, that while I usually buy books I am not buying this one. My request was the first one the library had for the book, and I am not certain I will want to keep it in my personal library. If I find it is worthwhile, I will buy it at that point. And yes, I realize that hesitation is probably one of the reasons why I will never understand what you are trying to say. But I am giving it the best effort I can. No, Bill, the reasoning is this. Bob is whining about 150 years of mistreatment of Blacks when what is going on in our schools today is every bit as horrific as slavery. The way you atone for the past is to create a better future – not show your moral superiority by whining and caviling all while you support policies designed to keep Blacks down. Blacks are trapped in districts which operate for the benefit of the captors – just like plantations. Blacks read less than 5 minutes a day when there are 360 minutes in a school day. They do less than 5 minutes a day of math. Blacks are way behind whites in academic achievement and as the years go by, that gap widens, not narrows. In the last measurement, the gap not only widened as students went from 4th to 8th grade, it widened at 4th and 8th grade. Districts are sick, sick, sick captors and masters of minorities. When the horse was first employed in the farm field they took the yoke off the ox and put it on the horse. Unknown to them, differences in anatomy meant that the yoke was choking the horse and thus they were only getting 25% of the potential horsepower. Will we keep choking minorities for another 750 years in an archaic racist school system designed specifically to keep Blacks out of wealthy neighborhoods and deny Catholics a public education? You are just like all the southern citizens in 1860 who just couldn’t visualize any different reality. Spare me your racist reasoning. 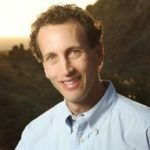 My project is designed to set a land-speed record for mathematics achievement gain by minorities – and to establish what all minority students can achieve given the properly designed classroom. As this student performs math, see if you can even read the problems as fast as he solves them and keys in the answers. bob think about this who should the woman killed at charlottesville viola luisso, goodman, schwerner, or many others who were killed in the struggle apologize to al sharpton? as malcolm X said. we don’t cotton much to white people in the movement ;but if john brown were alive today we would make an exception in his case. as harriet tubman is allegedly have said to frederick douglas I was physically restrained from going with john brown why dint you go with him? douglas answered I was always better at running then I was at fighting and will say no more in my defense ;but I did not say I would go. as john brown proved one man can make a difference if they really try and so can a woman as rosa parks proved. you got your chance tuesday when trump pardons arpaio to stand up and protest or better yet ask ducy to pardon the lady deported to mexico and is living in a homeless shelter so she can be reunited with her children. I stood with an African American mother in a school parking lot this very morning. Her son was one of my five star students last year. He completed 65,000 math problems successfully last year, went from not being able to add 5+4 in his mind to being able to do 60 problems a minute without error and moved through 345 levels of mathematics where 900 levels is fluency in calculus. With the high speed he developed last year, in the first 10 days of school, he was on pace to do over 100,000 math problems this year. She was in tears. She was totally unaware of the progress her son was making until after she had moved 8 miles away from the school. We had worked out the bus routes and realized it just wasn’t going to work for him to walk a mile to a bus stop in one of the 5 highest crime zip codes of the state and then spend over an hour and a half on a bus every morning. The classical classroom is trapping millions of minorities in a permanently unequal state. Our schools are producing the criminals that are filling our prisons and costing us billions. When education is finally reorganized, where will the accountability be for all you racist scum that defended the status quo for so many years? John, you need a course in basic reasoning! Jumping from an anecdaote about one mother and her child to “The classical classroom is trapping millions of minorities…” proves absolutely nothing. Would you tolerate it if I discredited all Charter schools based on one family’s experience? Continuing to financially starve regular public schools while exempting non-regular schools from oversight is a much bigger problem.